Tourism Ireland in Australia is rolling out ‘early bird’ campaigns with both Qatar Etihad and Airlines Airways this autumn, to capitalise on the important ‘early bird’ booking season, when all of the major airlines promote their special fares. The campaigns include online, print and outdoor ads, targeting ‘Culturally Curious’ and ‘Social Energiser’ travellers and keeping Ireland and the Wild Atlantic Way ‘front of mind’ for Australians considering a vacation to Europe in 2019. 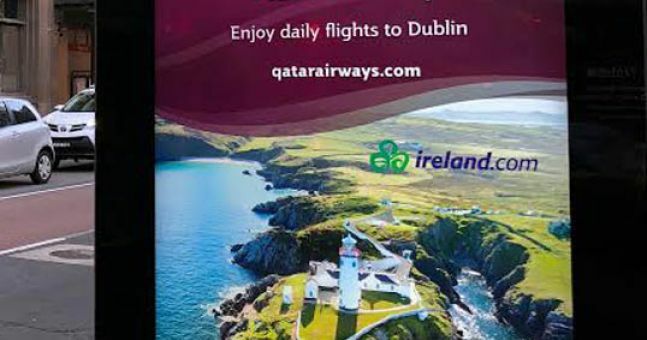 Photo shows an featuring Fanad Lighthouse – section of Tourism Ireland’s campaign with Qatar Airlines in Australia. If you’ve got a story or desire to send an image or video to us please contact the Donegal Now editorial team. Monday to Sunday please call 074 9112712 between 9am and 5pm. Between 5pm and midnight please text or call 086 792 2103. Or it is possible to email [email protected] anytime.